If we could only tap into our creativity. If we could only risk dwelling in the fresh territory creativity thrusts us into. That would be something. We would then truly be explorers, travelers of the unknown. It’s been said that humans only use the most minute percentage of their brain’s capacity. I’m encouraged to tell you that for many, that is quite a sliver. She fooled them all. 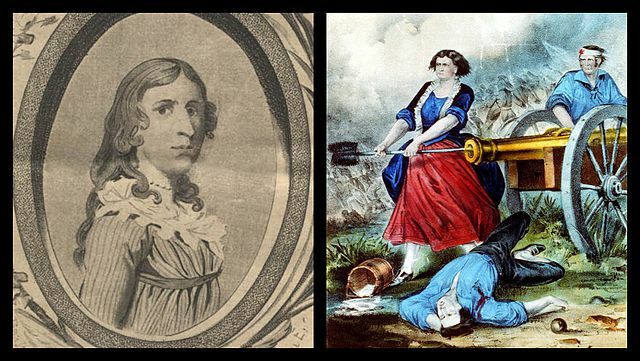 Posing as Robert Shurtlieff, Revolutionary War soldier Deborah Sampson successfully disguised as a man to enlist in the war. Robert was a fabrication, a pseudonym. Coming from the background of a foster child, as a young woman Deborah taught school for a while but fantasized about traveling and exploring; beyond the confines of what a woman would normally do. Tall and strong, she had thoughts about cross-dressing (a talented seamstress) and joining the military as a man. She took such ideas to a fortune-teller and the rest is Revolutionary War history. She enlisted in 1781, Light Infantry Company of the 4th Regiment, Massachusetts Continental Line. She was there at the pivotal Siege of Yorktown in Virginia where she dug trenches and was shot at with cannons. On one occasion, her head was gashed and she was shot in her upper-thigh. Unwilling to be discovered for who she was, she treated her own wound, later physically suffering for such independence. Sampson was eventually discovered to be a woman by no other than a doctor. Upon the release of this information, she was given an Honorable Discharge. The legendary Paul Revere would write a letter to Congress after meeting Deborah regarding pension with this endorsement, “much more deserving than hundreds to whom Congress have been generous.” She was given a general pension. That is a gap of almost two hundred years! It was declared that the history of the Revolution “furnished no other similar example of female heroism, fidelity and courage.” Deborah was the first women in the country to go on a lecture tour. At the end of her talk, she would demonstrate a manual of arms (standing in place with her weapon) to wide applause. It is a much quieter truth that for two years Sampson avoided bathing with other troops so that her secret would remain a secret. What does that take? No doubt, much craftiness and inconvenience. Also, a loneliness I’m not too familiar with. Oh, and yes, creative. Very creative.